Hunter Mountain Bike Association memberships continue to grow as the sport of mountain biking enjoys greater participation both locally and globally. With this popularity comes the opportunity to develop existing trails and facilities to better cater for core groups, attract new riders and entice visitors from other regions. Our elected representatives from local and state government agencies, along with awesome landowners like Forestry Corporation of NSW, have responded by providing development opportunities. This common goal caters for organic growth, prepares for the expected higher demand and provides recreational assets for a growing community accessible sport. From its inception HMBA has always provided its members with exceptional representation, leadership and governance. It has a record of capitalising on opportunity and being on the front foot when changes in the sport affect the members – a reputation that the current committee strives to uphold. Recently the draft 10 year trail Master Plan was released and discussions with Lake Macquarie City Council and Forestry Corporation began to focus on a range of improvements to the Awaba MTB Park. These discussions included the establishment of the Road Gap Trail, the Flow Trail, the Intermediate level Down Hill Trail, an extension to the Adaptive Trail, upgrade of the access road and an upgrade of the car park. While all this potential development is pending, the club has been maintaining the existing trail network and continued to provide its members with racing opportunities throughout the Hunter region. The club’s members are seen participating in the sport of mountain biking all over Australia and around the world, and in doing so bring back enthusiasm and ideas. On the back of this the club has now expanded its mountain bike advocacy to other local regions and community sectors. Club members are at the forefront with developments in the Port Stephens area (Gan Gan and Wallaroo), Kurri Kurri and Singleton; officiate at a senior level in MTBA and UCI sanctioned events; have gone into the community as coaches; advocate for the inclusion of people with a disability; and accept invitations from national bodies to take committee positions for the benefit of the sport. 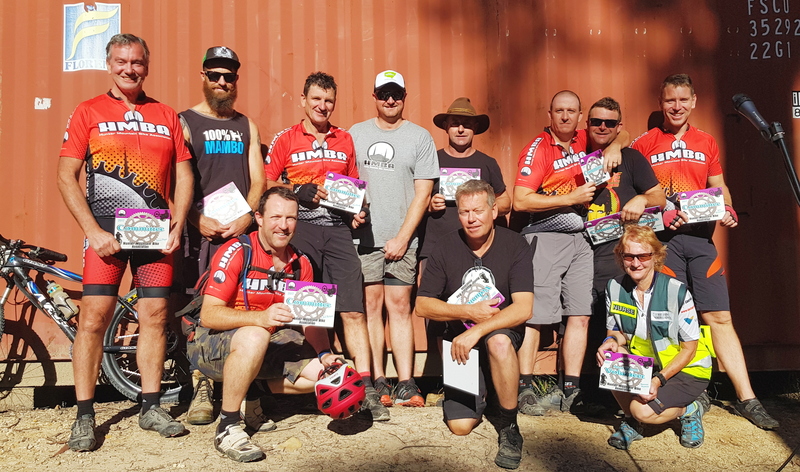 Through its members the club is recognised by the sport’s peak national body, MTBA, and the Olney State Forest land owner, Forestry Corporation of NSW, as a model example for other MTB clubs to follow. Aside from receiving the 2017 MTBA National “Friends of the Trail” Award and drawing up to 500 riders per week to the Park, this recognition provides an excellent platform to attract development funding from state based authorities and the private sector. On this front, the club has an expectation that it will be successful in being granted funds for the trail and car park development and will see those improvements completed in early 2019. On the back of this, discussions between Lake Macquarie City Council and Destination NSW have matured to the point where we also have an expectation of a tripartite agreement for funding large events at Awaba MTB Park over the next three years (2019 to 2021). In addition to government based funding, the club has been liaising with Lake Macquarie City Council’s economic development company, Dantia, in collaboration with Forestry Corporation of NSW to facilitate potential for local businesses to benefit from what is expected to be an a new, State-significant, Outdoor Adventure hub. The Awaba MTB Park is located in a wilderness area that provides a range of outdoor activities including, but not limited to, abseiling, bush walking, trail running, orienteering, rock climbing, 4X4, and motorcycle trail riding. These activities attract commercial operators and investors. The potential for associated food and accommodation offerings is attracting interest from the private sector. Aside from being HMBA club members, you are all members of the private sector and these opportunities are available to us all. So, from the current HMBA committee we extend our thanks to those who have gone before us and the members who are with us today for making this club the awesome entity it is. We look forward to working with you all, and welcoming new members to share these exciting times.